It would take another six releases beyond this single (their 4th as The Supremes, plus one debut as The Primettes) before Berry Gordy found the formula that made the Supremes the most famous and popular girl group of all time. 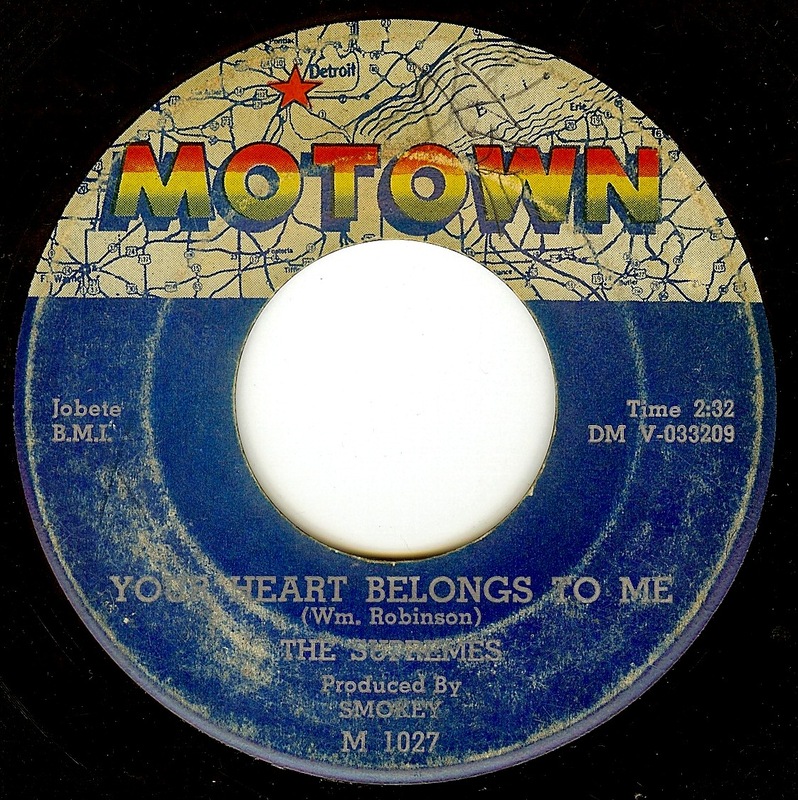 This gorgeous release took a theme that was popular at the time - a boyfriend in the service (see The Shirelles "Soldier Boy", as well as Marvin Gaye's answer record, "A Soldier's Plea"). 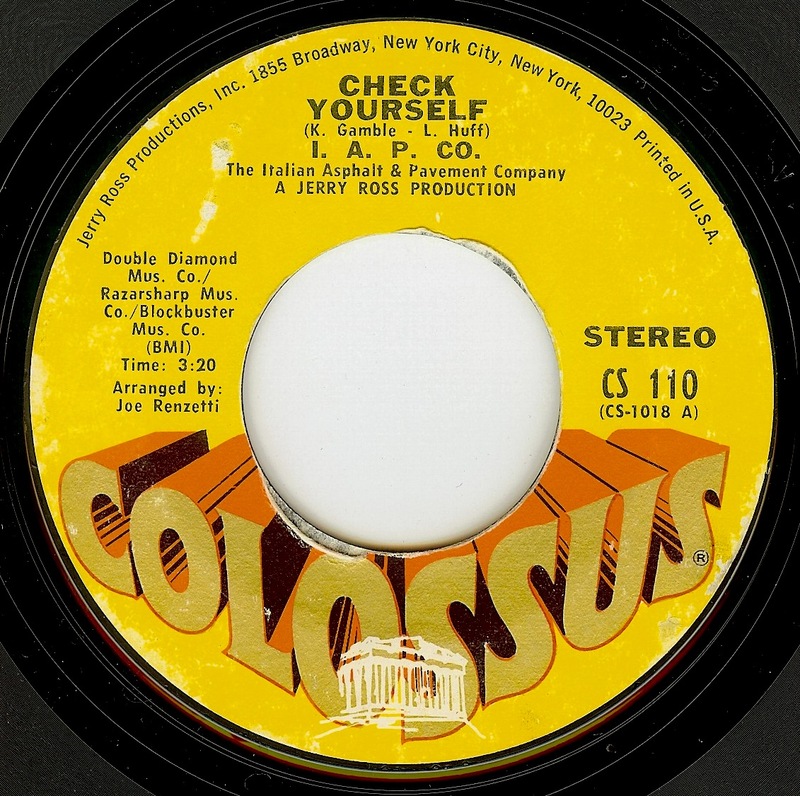 Coupled with the genius poetry of Smokey Robinson, this record became a very minor national hit; a first for the group. As Mary Wells was a big hit maker at Motown at this time, it's no surprise that a bit of the Mary Wells sound- vaguely Latin, lilting and rhythmic- would be heard on this side as well. My latest post @ Bedazzled! 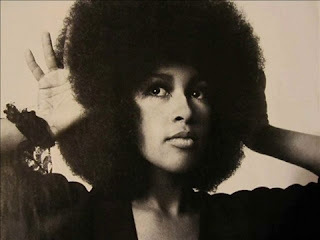 is in tribute to the late great Marva Whitney and Fontella Bass. Check it out here. 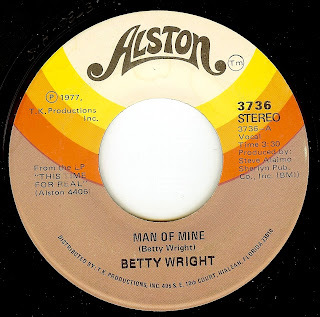 Betty Wright's story is unbelievable; a TRUE life in music! 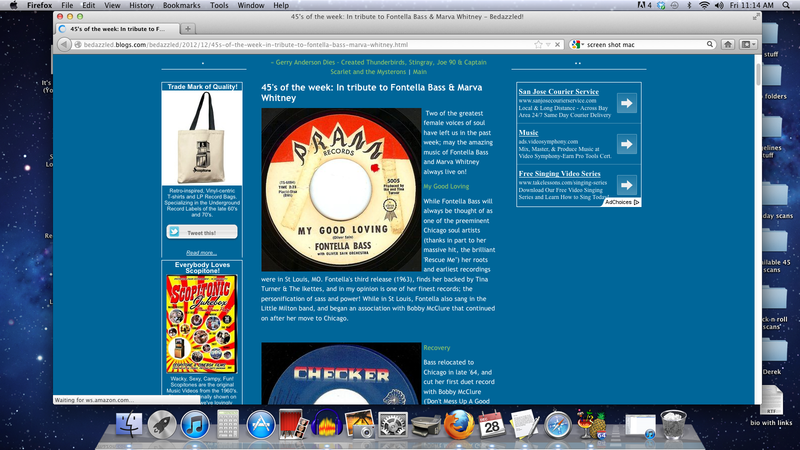 Born in Miami in 1953, Betty's debut musical performance was in 1956(! ), singing with family gospel group The Echoes Of Joy. The group continued on until 1965; after the breakup, an 11 year old Betty switched to secular music. 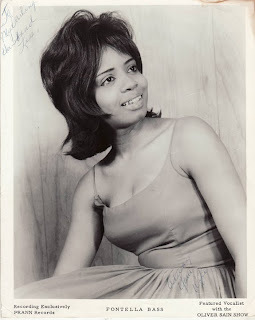 She began releasing records under her own name in '66 (including the amazing "Paralyzed" from 1967), and incredibly also worked A&R (she discovered George & Gwen McCrae). 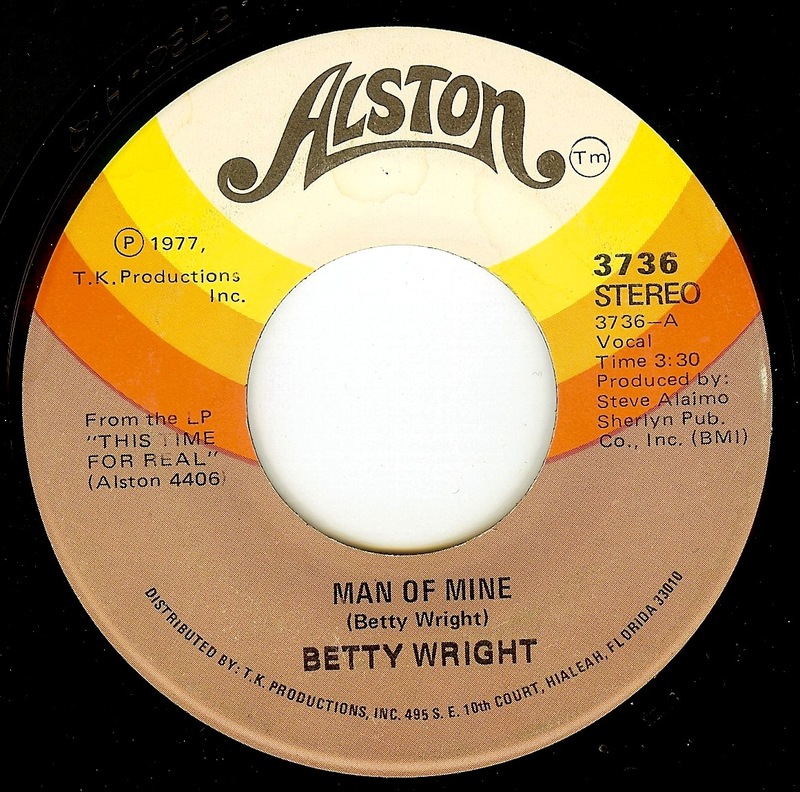 Betty continued to release some excellent singles (including the amazing double sider 'Sweet Lovin' Daddy/ "Girls Can't Do What The Guys Can Do") throughout the late '60's, and she cut her massive hit, 'Clean Up Woman" in '71. All this before her 18th birthday!!!! Follow up hits didn't come easy, although she released some records that proved to be incredibly influential (and massively sampled) later in 1990's hip hop. 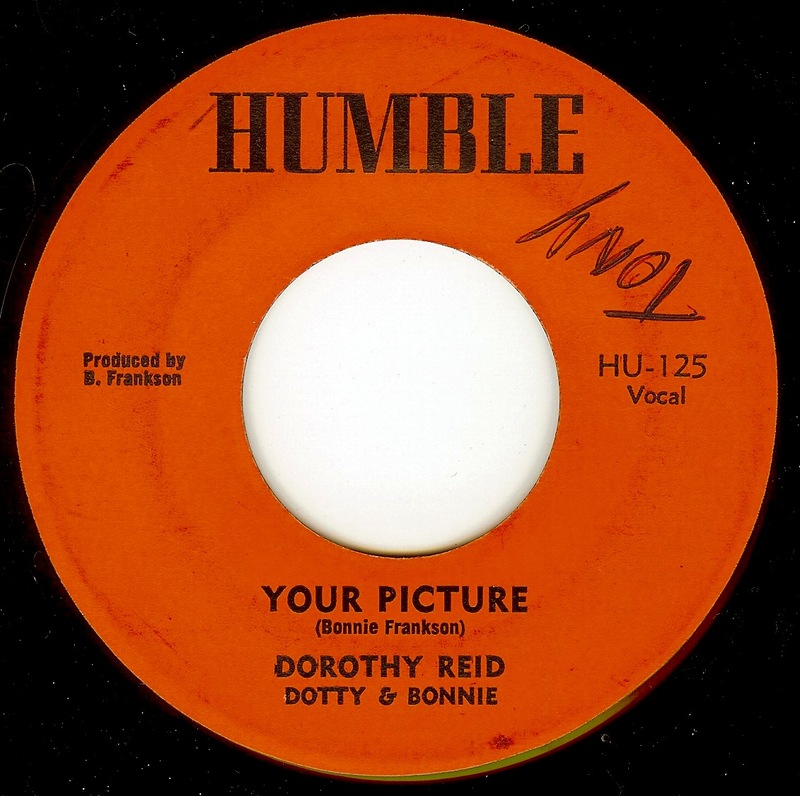 This track, catchy as can be and written by Betty herself, SHOULD have been a massive hit. While it leans into disco territory (which is just fine by me), the songwriting stays strong and is capped by a wonderful vocal. Betty is still active in music, mostly lending her talent as a vocal coach to other singers. I sincerely hope that they appreciate the great gift they are being given by this amazing lady. With the passing of yet another one of the greats, it drives home the fact that we are so lucky to have this music. 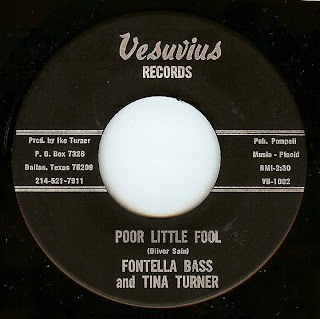 Fontella Bass was one of THE greatest voices of the '60's; may her music live on always. 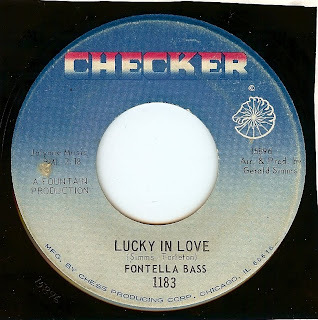 While Fontella never had the type of chart success (not to mention pop crossover) as she did with "rescue Me", there are a number of other great, overlooked records in her discography including this one which is a real fave of mine. Another stellar piece in the Chicago soul puzzle. Adding up the the output from the likes of Chess records, productions and recordings of groundbreakers Gene Chandler, Syl Johnson and Curtis Mayfield (among others), productions of Carl Davis and Gerald Simms (among others) usually when I hear people argue Stax vs Motown, I always throw in "but don't forget about CHICAGO"! As I was deciding which record to feature today, it dawned on me that there are very few female DUO records from this era; certainly much less common than male soul duo's. What a treat that we hear two of the greatest female singers TOGETHER on this disc! 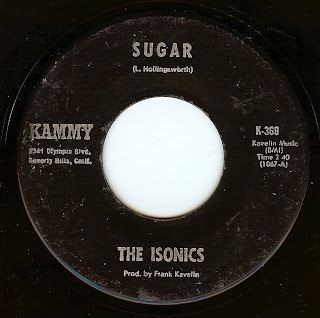 Driven along by their sublime vocals and some truly epic baritone guitar, this song is a superb example of the early sixties St. Louis sound. A gorgeous record, and one that I truly wish I knew more of its story. I'd love to know how this obscure Jamaican record came to be released in the US (on the ultra obscure "Humble' label' to boot), as well as exactly WHEN it came out. 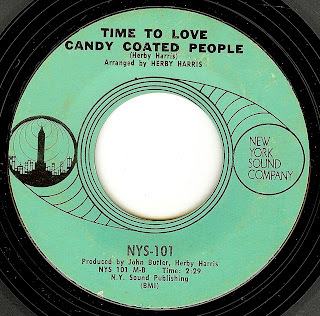 Discogs says 1974, but that sounds too late to my ears- I would guess 1970 at the latest. There's also no mention of Dorothy (Dotty) Reid or Bonnie Frankson in the copy of Reggae: The Rough Guide that I just pulled off my book shelf. Thankfully, lack of details and data do not hinder the enjoyment of the beautiful music found within the grooves. Here, the band (deeply influenced by the Beatles) melds "Deck The Halls" with Dave Brubeck's jazz standard "Take Five' and turns it into a jazzy, quasi-psychedelic number that I almost guarantee will bring on some holiday cheer. 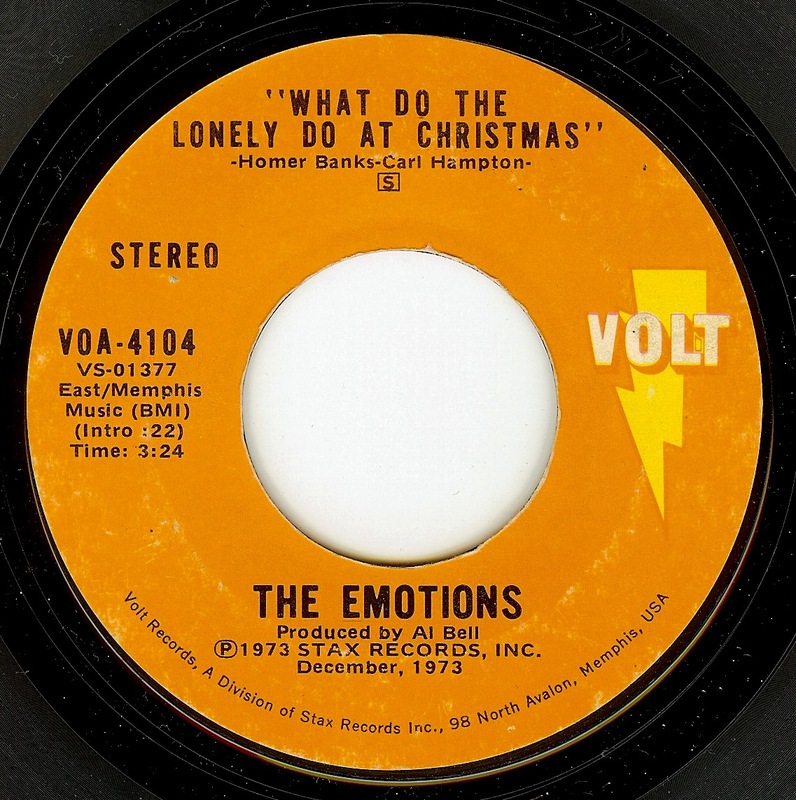 This group had an incredible knack for harmonies, and tackle the tricky 5/4 time signature with ease making for the most hypnotic Christmas record I've ever heard. The other side ("Christmas Sounds") is an exceptional holiday original showcasing their excellent group harmonies and songwriting skill. 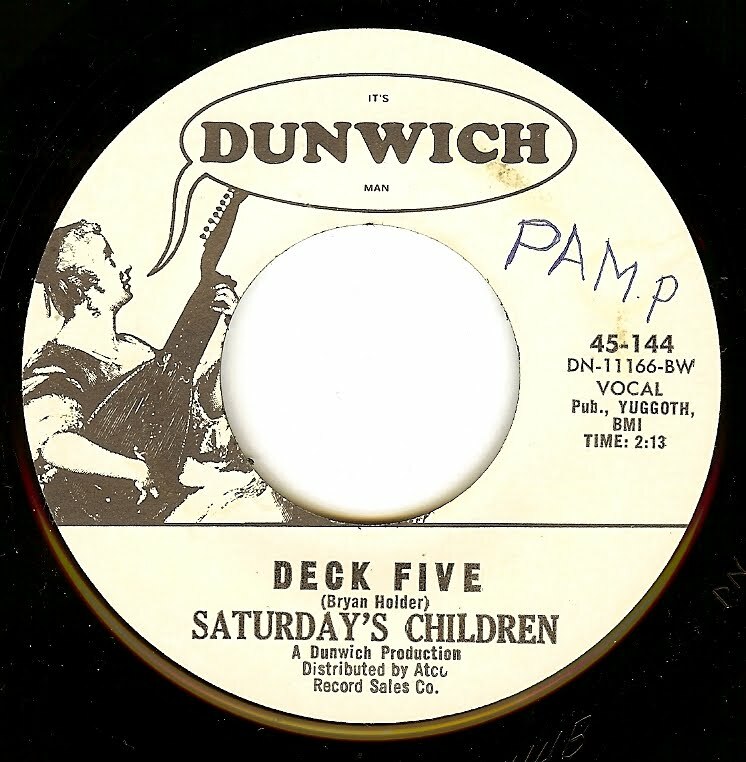 This song gets closer to my heart with each passing year, and sadly, Saturday's Children main man Ron Holder passed away about a month ago (not to mention Mr Take Five himself, Dave Brubeck) making this record extra powerful this season. Ahhhhh The Emotions. Made up of Chicago's Hutchinson sisters (Sheila, Wanda and Jeanette), these three ladies took sisterly harmony to an otherworldly level on this melancholy Christmas track which was released just a few short years before they had some major (and well deserved) hits on Columbia records. 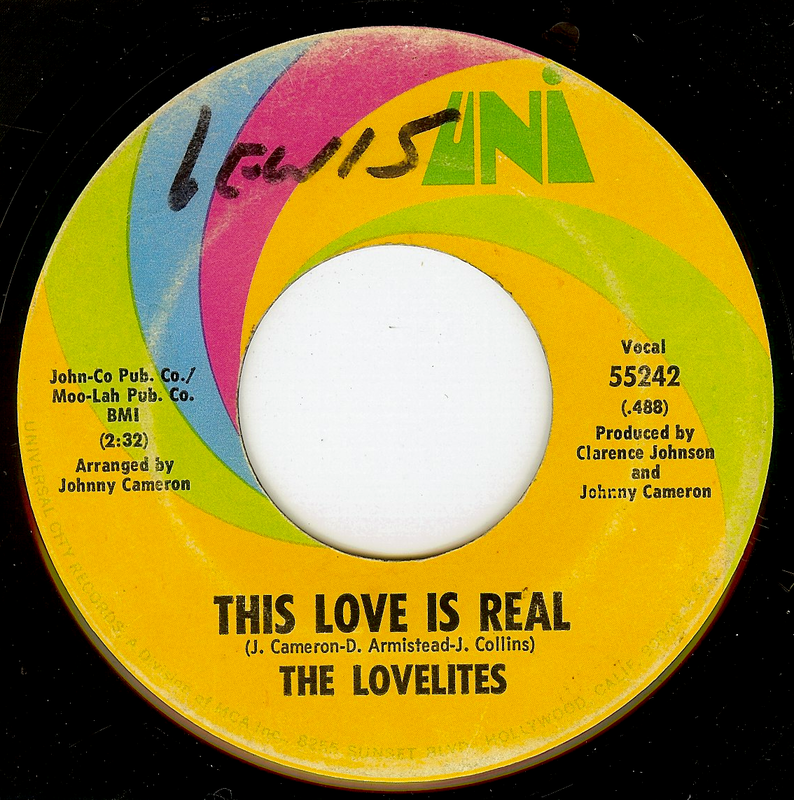 Just in their early 20's at the time of this release, the sisters had already been recording for six years by this point. I wish everyone peace and happiness this holiday season. Personally, all I want for Christmas is gun control. Whatever the story, it's a lovely song and one that still seems far too relevant today. 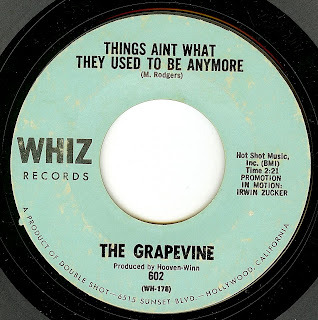 After a few hits and lineup changes, this group took on a surprising, harder edged sound for this single that wasn't a hit but should have been. What an incredible song. 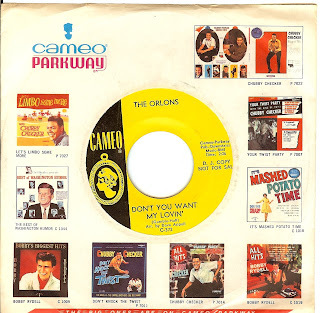 The Orlons story is a bit too complex to get into here (their wikipedia entry is well written and comprehensive) but they hit big with "South Street" and "The Wah Wahtusi" in the pre-British Invasion days; kept making records such as this one but never had another hit). Spoiler alert! At 1:47, one of the coolest "middle 8" sections of a song I've ever heard happens; pure GENIUS!!! Producer Robert Bateman obviously knew it as well, as the section repeats at the outro. Bateman certainly had an ear for female vocalists; he was an early producer at Motown and counts the Marvelous Marvelettes among his discoveries. 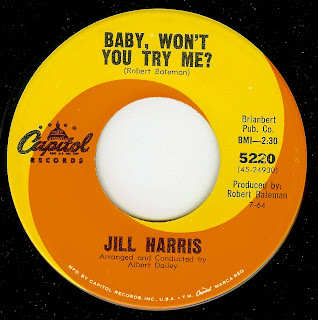 Jill Harris has a MASSIVE voice, and it's a pity that she only released two singles before fading into obscurity. It has been said that Dee Dee and Dionne Warwick are singing the (glorious) backups here. 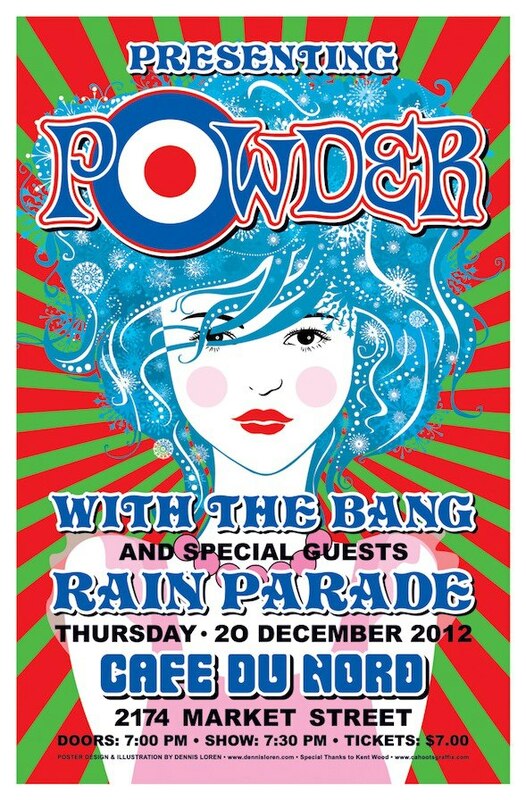 Here's one that, if you can make it to Cafe Du Nord in San Francisco tonight, can be heard live. 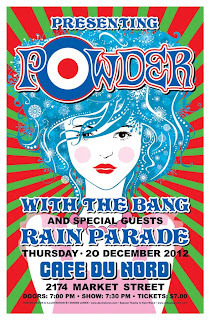 Powder, the great band that evolved out of the Art Collection, will be playing it! I'm stoked beyond belief to be a part of this bill. I have been fortunate for the last three weeks to be on tour in Australia/ New Zealand and have had plenty of time for some epic record digging, arming myself with a bevy of OZ beat 45's. The similarities between Australia and my California home are striking, and I felt very much at home in the cities of Melbourne, Auckland and Perth, especially. As I was thinking about going home the day after tomorrow, it only made sense to feature this record with its New Zealand/ Australia/ California connection. 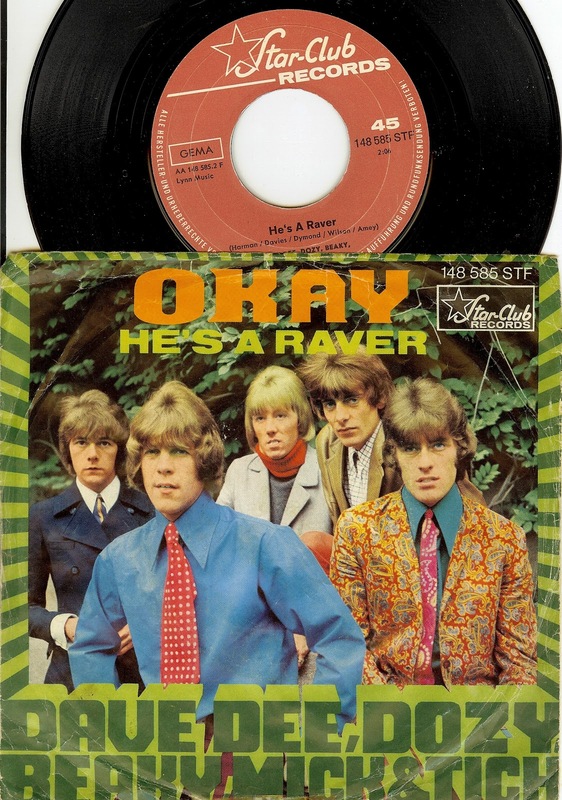 Ray Columbus was the first rocker to have a hit outside of New Zealand with his crack band the Invaders (his "She's A Mod" cracked the top of the Australian charts in 1964). 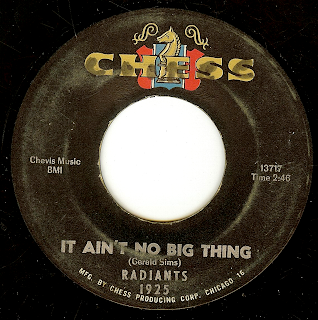 A number of hits followed, and Ray & The Invaders were at the top of their game down under. Ray wished more than anything to get the band to the US, but was never able to get a work permit. However, around 1966 he married a California woman and ended up in San Francisco and local mods the Art Collection (featuring none other than Richard Frost, heard a few weeks ago with "She's Got Love") became his backing group. I was fortunate enough to talk to Richard at the end of 2010, and he explained that the bay area had no idea what to do with this outlandish, extroverted New Zealand mod wildman! 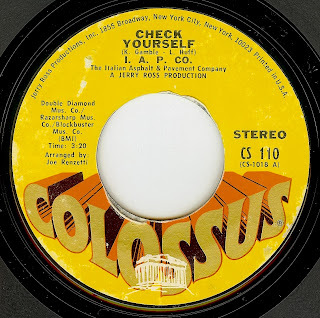 Ray self-released this record (with a re-recording of "She's A Mod" as the flip) and there is a very rare clip of the band performing this song in an SF teen club and they were incredibly powerful as a live act. The song itself is an incredible, fuzzed out stomper of the highest order. The story of The Opals is a story that is practically made for this blog in that it incorporates so many of my favorite performers/ producers. 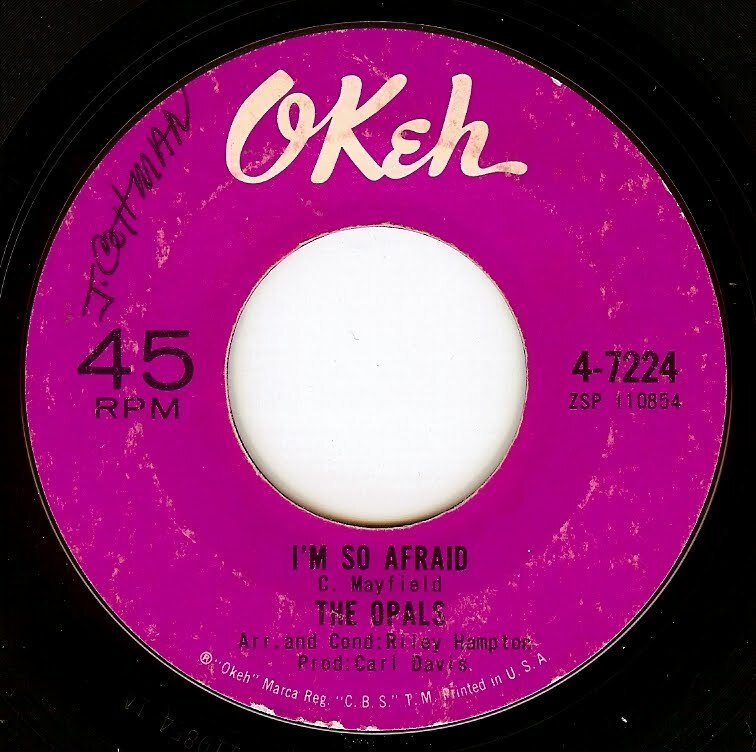 The Opals, from East Chicago, IN (a grim steel mill town just outside Chicago) were discovered in 1962 by The Dells, at a performance in Gary, IN (near East Chicago). The Dells (possibly the finest male harmony group of all time) liked what they heard in these lovely ladies and allegedly worked with them as their pupils; shortly after the discovery they were singing backups on Betty Everett's "Shoop Shoop Song (It's In His Kiss)". They eventually made their way to being a sort of house girl group for Okeh Records, were they backed Otis Leavill and the mighty Major Lance on a number of records. 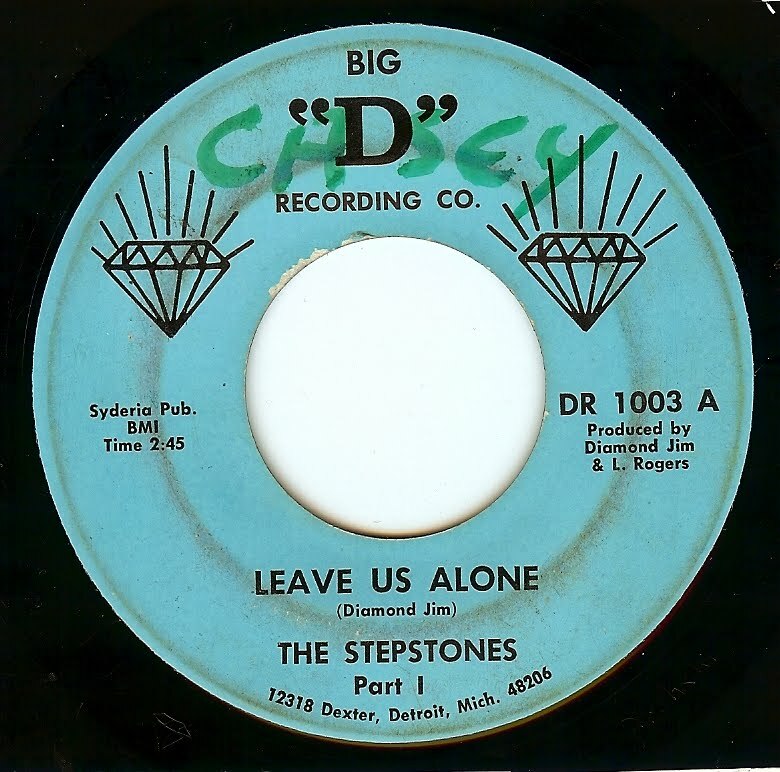 Producer Carl Davis felt the ladies were due to step out on their own, and cut a few sides which included this lovely Curtis Mayfield number which turned out to be their final release. Sadly, this was the last thing heard from these talented gals. 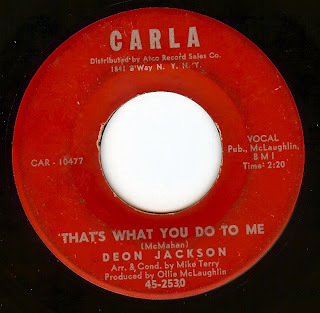 By the time of this records' release in 1962, Louis Jordan had been a performing and recording musician for nearly 25 years, and unfortunately his popularity had waned. Jordan was incredibly successful during the late '40's/ early '50's where, thanks to his popularity, became known as the King Of The Jukebox. On this track (recorded for Ray Charles newly established Tangerine label), Jordan showed that he was perfectly capable of keeping up with then-contemporary r&b by delivering this MASTERPIECE. 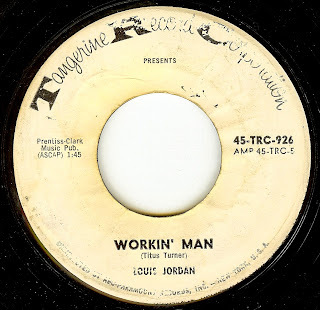 Another one of those "blink and you'll miss it" tracks (it clocks in at 1:48), Jordan packs a whole lot of musical sophistication, excellent vocals (both from himself and the backing female singers, probably the Raelettes), and a simply fabulous song, penned by Titus Turner. Simply a great feel good song we have here. I read recently that Deon is a high school principal in suburban Illinois. I wonder if the kids have any idea! 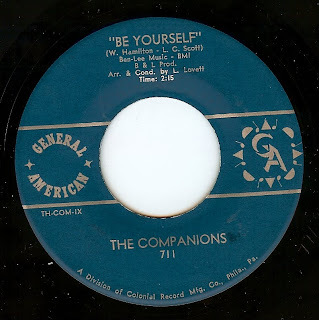 This amazing harmony record seems to be a one-off under this name from New York City doo wop group the Duprees, who had recorded together for over a decade by the time of this release. No surprise, as the vocals are simply outstanding. As I will be unable to post anything for the next two days, I had to think about a record to post that is so high, so mighty, so POWERFUL that it had the potential to last the whole weekend. The decision was simple, this record could easily last all WEEK! 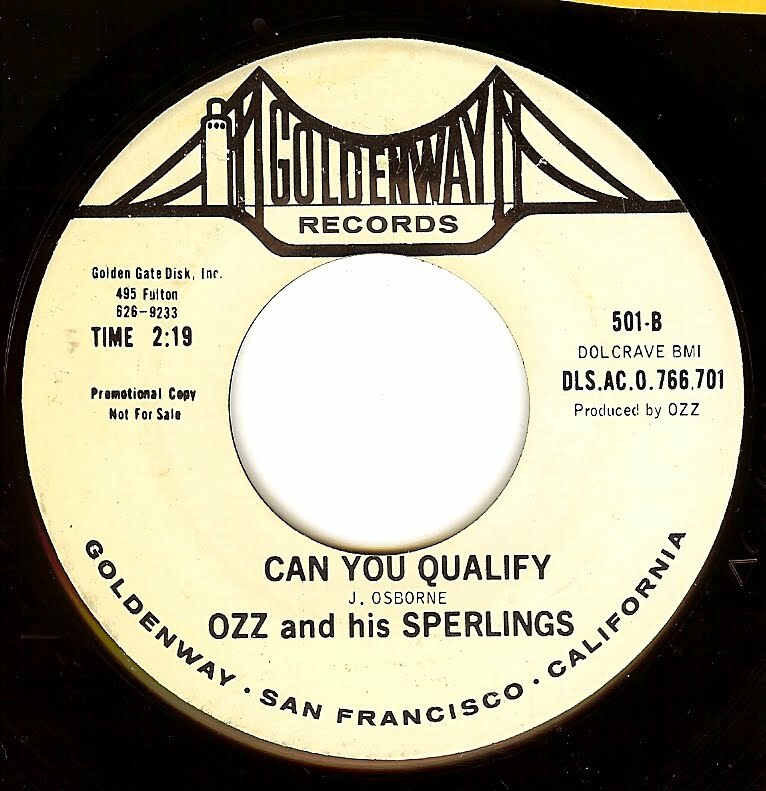 San Francisco's Jesse Osbourne is the OZZ in question here, and he released four singles; this is without contest the finest. "Can You Qualify?" 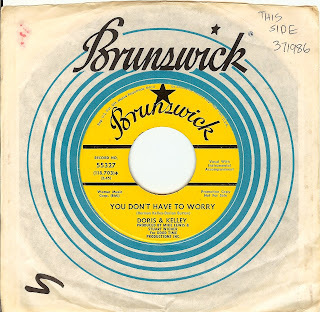 gets the most attention, and I could never argue THAT point (it's one of those sides that to this listener simply CANNOT be bettered) but the OTHER side is pretty fine as well (and it's a different song than the Derek Martin/ Who/ etc classic). 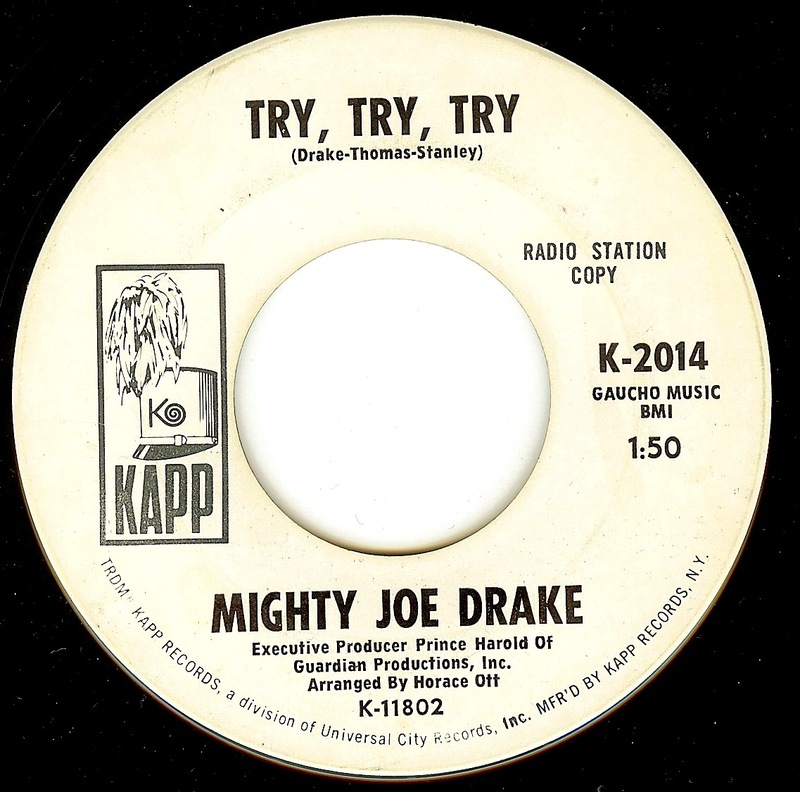 Mighty Joe is a mighty mystery; this seems to be his only release, and I don't know any biographical info. 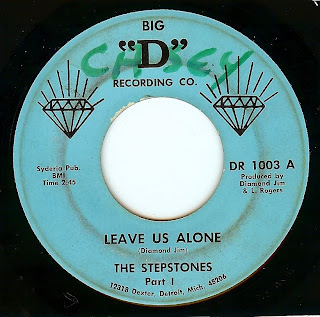 Sorry for the rather incomplete entry here, but I'm out of town have a lousy web connection and I've never researched this record before. So I present to you an excellent Detroit record- some have said that this is David Ruffin moonlighting away from Motown on this cut; wouldn't surprise me. Web sources say 1966, but sounds a bit later to me. All in all, an excellent, driving record with a spooky feel! What a fantastic double sider! 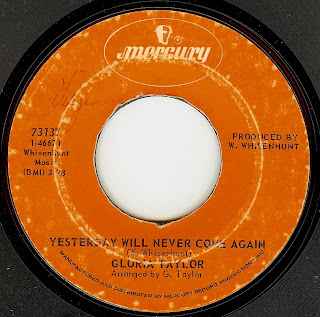 "Yesterday" has a great bubblegum-soul groove, but when it gets to the bridge section of the song ("You better be careful my dear...") the mood brilliantly shifts into a far heavier vibe. "Unyielding" is an all out groove burner! 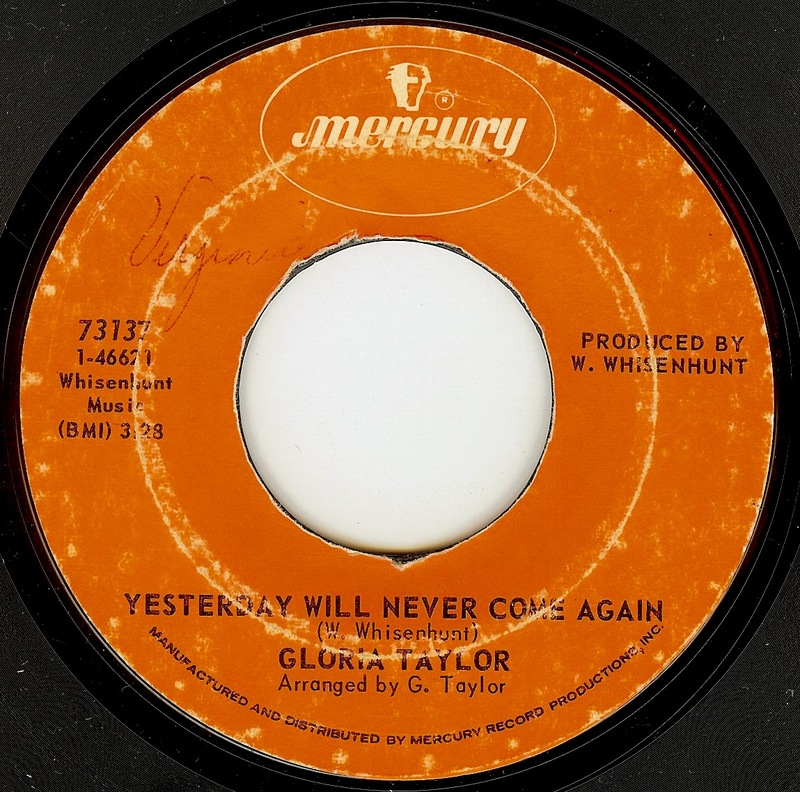 Long believed to be a Detroit based artist, while trolling the web for info on Gloria (alas, there's hardly any out there) I've come to find that she is from the Toledo, Ohio area (which is where this record was cut, I believe). No surprise that she was believed to be part of the Detroit scene, as this record certainly has the Detroit vibe on both sides. The W. Whisenhunt name seen on the labels is said to be her husband. 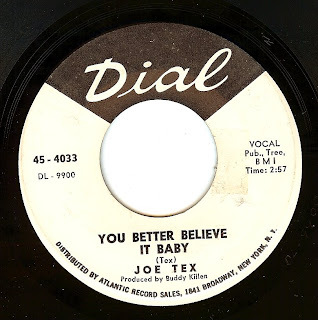 In his long career (cut short first by retirement from music, then sadly by premature death), Joe Tex cut oodles of great records, most of which languished in obscurity. 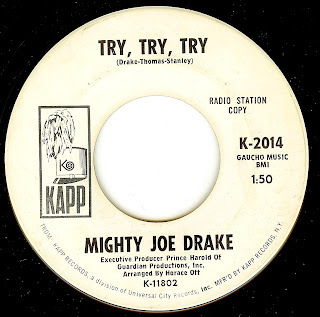 From '63 til around '72, just about everything Joe released on 45 was good, most were exceptional. This particular track is a favorite b-side of mine; I love the British Invasion style breakdown riff! 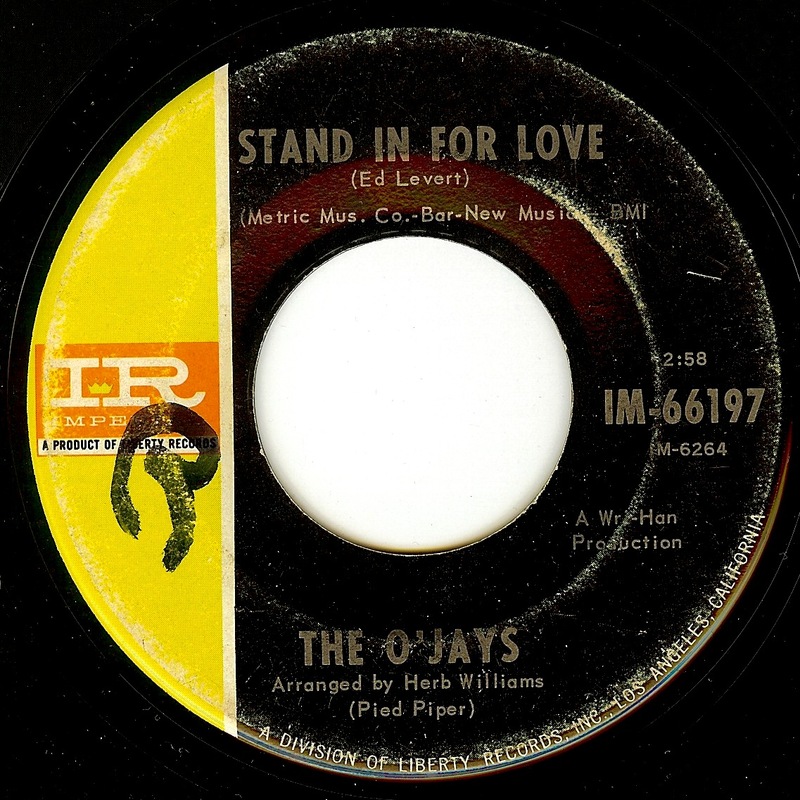 While the O'Jays became one of the star acts of the Philadelphia soul scene of the '70's, their roots and beginnings in Canton, Ohio stretch far deeper. The group was formed in the late '50's, and cut their first record as The O'Jays in 1961, with a previous release as the Mascots the previous year. This type of career longevity before success is practically unheard of in today's music scene. On this track, Eddie Levert (who also wrote the song) delivers a heartfelt, powerful performance that is the epitome of soul. His fellow O'Jays harmonize so beautifully behind him, and the drummer powers along in a way that takes this ballad into territory that a ballad typically does not go. An absolutely incredible record, seems as though this is the only release from both the group and the label. 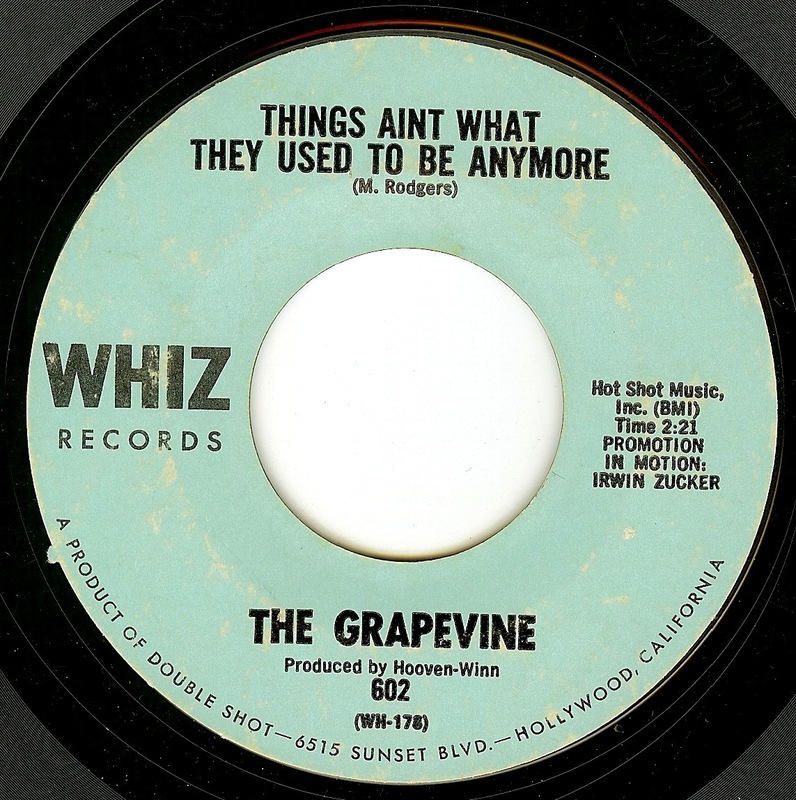 I am assuming they were from the L.A area, as the label lists a Beverly Hills address. As always, if anyone has any more info, PLEASE write! The song has a vaguely Latin flavor, with an arrangement and vocal to die for. Dave Dee, Dozy, Beaky, Mick & Tich (DDDBMT), while massively huge in the UK, Germany, and Australia, never made many inroads of success in the US. Somewhat strange, as tracks such as "Hold Tight" are MASSIVE beat numbers (and a equal number of lightweight pop). However, taking into account the number of syllables in their name, perhaps American radio DJ's just weren't having it which limited their exposure. 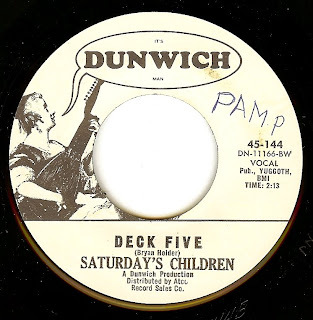 On the flip side of "Okay" (which is, as its title suggests, merely OK), we have this wild mod rocker that, in the vein of The Pretty Things mega opus "Midnight To Six Man", epitomizes the dandy lifestyle. The group certainly dresses the part on this German-issued picture sleeve as well. I really love the pregnant pause just before the organ and guitar solos. All I know about today's featured singer is that she was from Philadelphia, and, unbelievably, this was her only release! Everything else is contained in the grooves. Latin rhythms, a nearly free jazz sax solo and a female vocal that pins me to the WALL- all the ingredients that make for one SLAMMING record. I'm not sure if the "Herby" Harris here is the same "Herbie" Harris that is a prolific keys/ percussionist in the reggae scene, but all signs point to yes, it's the same person. Other than that, this is another mystery disc. Seemingly the only release on this record label, and the only release from this band. What I wanna know is WHO is the lead singer? Quite simply, what can be better than having someone to tell you "just be yourself". As for me, during the holidays, I am especially thankful to have someone in my life who not only tells me to be myself but encourages my obsessive record related behavior and tolerates the kind of time that I put into said obsession, including this blog! She's a keeper, for sho. Formed in a Chicago church in 1960, Chicago's Radiants went into secular music as they found it difficult to get noticed while singing gospel. 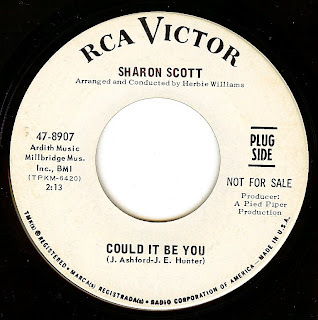 The big harmony sound of the group is certainly rooted in the church, and is heard in full beautiful effect on this track, which was released as the followup to their big '64 hit "Voice Your Choice". This song has a similar lilting groove, may not be quite as clever as "Voice" but has excellent lyrics by Gerald Sims nonetheless. Born Clive Powell and re-named Georgie Fame against his will by huckster/ manager Larry Parnes, Georgie Fame is one of the UK's finest musicians- his r&b/ jazz hybrid has helped establish a lifelong career in music, and he is still active today (as Van Morrison's organist and band leader). 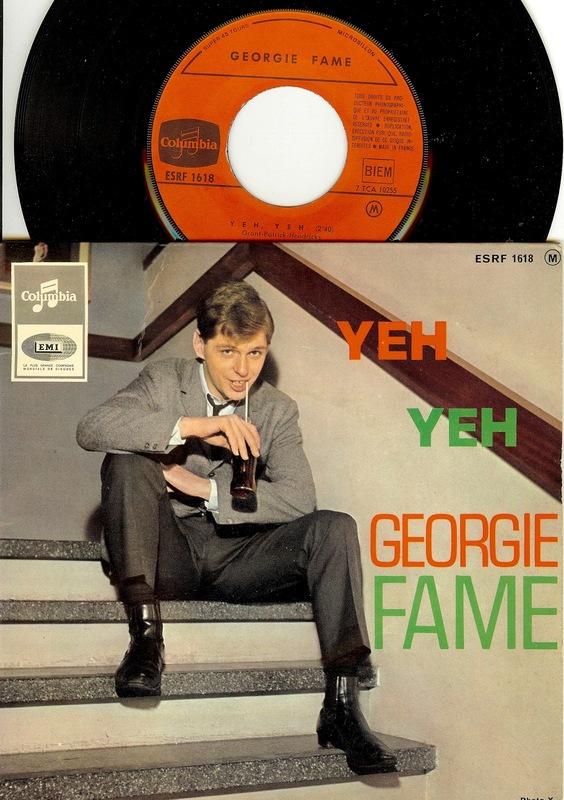 This fantastic record was Georgie's first #1 hit in the UK (and was massive on the continent as well, resulting in a German language version), and it's easy to see why- a swingin' jazzy track with great vocals, and a lead up to the chorus (when he sings the line about "turning the lights down low") that is simply PERFECT in how it stops time and changes the mood of the song from something light into a very powerful moment.when all is said and done, we practically have the British equivalent of a Ray Charles track; it certainly has the same class, musicianship and groove! Plus, could he possibly look any cooler than he does on the cover of this French EP? I think not.